Be in the know with email updates of our next exciting event November 1, 2018! Subscribe to our eNews today! Scott Oake is best known for his work on "Hockey Night In Canada". After losing his son Bruce to a drug overdose, Scott and his family are championing the cause of addiction recovery. Determined to have their child's life and death return something positive to this world, Scott, Anne and their son Darcy have set forth on the path of building a long term treatment facility in Winnipeg, Manitoba. “The Bruce Oake Recovery Centre - A Place For Recovery, Healing And A Foundation For Life” aims to fill a need for treatment without the wait or high costs that too often contribute to a devastating outcome. Seize this unique opportunity to hear of Scott and Anne's journey as only they can share it, learn more about this news-worthy project and network with MCJA board members, event sponsors and attendees. Media will be offered the opportunity to interview Scott & Anne directly following the event. For details, please email info@mcja.ca. ​Are you a friend of the MCJA? Please hang the following poster by your water cooler to help spread the word! Download for print here. ​Consent to Use of Photographic Images: Registration and attendance at, or participation in the 2018 MCJA Crime Prevention Breakfast constitutes an agreement by the registrant to the Hosts’ use and distribution (both now and in the future) of the registrant or attendee’s image or voice in photographs, videotapes, electronic reproductions and audiotapes. ​Consent to Use of Photographic Images: Registration and attendance at, or participation in the 2017 MCJA Crime Prevention Breakfast constitutes an agreement by the registrant to the Hosts’ use and distribution (both now and in the future) of the registrant or attendee’s image or voice in photographs, videotapes, electronic reproductions and audiotapes. Abdikheir (Abdi) Ahmed is the Director of the Immigration Partnership Winnipeg (IPW). 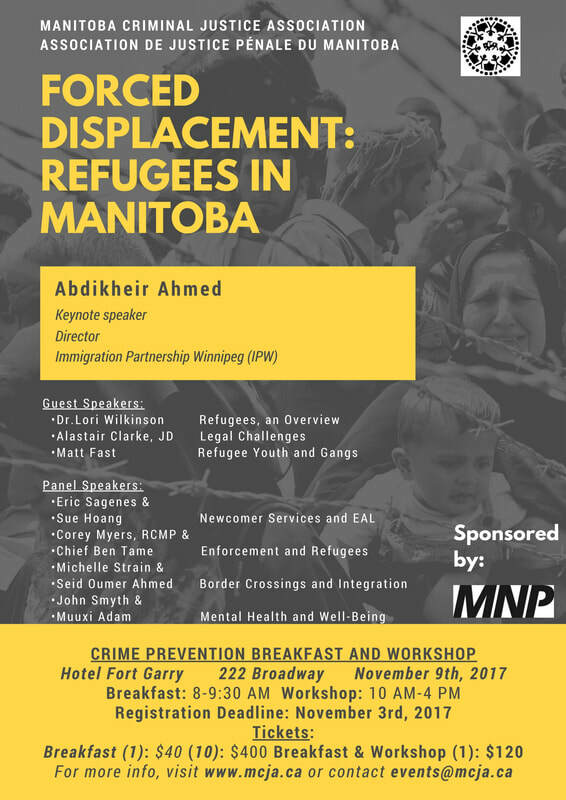 He has previously served as the Executive Director of the Immigrant and Refugee Community Organization of Manitoba (IRCOM) Inc. Adbi joins the MCJA as our Keynote speaker and a panel member for the Crime Prevention Breakfast of 2017. Abdi has received numerous awards for his work creating life-changing opportunities for new Canadians. He was a CBC Manitoba Future 40 Finalist in 2014 and is the recipient of the Order of the Buffalo Hunt, one of the province of Manitoba’s highest honors for his work advocating for refugees and building bridges with Canadian communities. Abdi has a Master’s degree in International Peace and Conflict Resolution from the University of Queensland in Brisbane, Australia where he studied on a Rotary Peace Fellowship. Local Immigration Partnerships (LIPs) are multi-sectoral collectives that bring a new form of collaboration, at the community-level, to newcomer settlement and integration. They are designed to establish, facilitate and implement a community-wide strategy for improving the settlement and integration of immigrants. The LIP model is having success across Canada with more than 40 LIPs in four Canadian provinces. Funding and support for the LIPs comes from Immigration, Refugees and Citizenship Canada. The Winnipeg Immigration Partnership (IPW) helps create a community that has a strong desire and capacity to receive newcomers and make them feel at home. Dr. Lori Wilkinson is a Professor in the Department of Sociology at the University of Manitoba. She specializes in immigration and refugee studies, particularly on issues related to discrimination, settlement and health among newcomers to Canada. She has been working on various aspects related to the successful economic integration of refugees in Canada, settlement service use among immigrants and refugees and the health and well-being of immigrant and refugee youth. Previous projects involve the transborder migration of Bangladeshi to India and a GIS map of immigration in Western Canada. Other projects have examined the long-term labour market trajectories of those arriving to Canada as children or teens. Other areas of research interest include the health outcomes of newcomer children and youth and labour market transitions of immigrant women, the non-fracture needs of hospitalized Winnipeggers, bullying and small-scale studies involving the life course of Indigenous peoples. Along with articles and reports, she has coauthored two books, The Research Process 3rd edition (2015) and Understanding Social Statistics (2015), both published by Oxford University Press. She is currently the editor of the Journal of International Migration and Integration and the Director of Immigration Research West, an academic and community think-tank concerned with issues related to successful settlement and integration. Most recently, she has co-written a report for the European Union which examined the labour market experiences of refugees in Canada. Alastair founded Clarke Immigration Law, a full-service immigration and refugee law firm. The staff at Clarke Immigration Law are among the most experienced in Manitoba and provide assistance in English, French, Spanish, Tagalog, Taiwanese, Ukrainian, Russian and Mandarin. Our clients include individuals, couples, families, businesses and organizations. Alastair was born and raised in Edmonton. He has lived in five provinces and many countries including Japan, France, Britain, Ecuador, and various cities in the United States. Alastair writes for Slaw.ca and contributes to publications, including Supreme Advocacy. He is a member of the Canadian Bar Association Border Crossings Working Group and has drafted proposals for Parliament’s Standing Committee on Citizenship and Immigration. In Winnipeg, Alastair regularly delivers presentations on behalf of the Community Legal Education Association as part of the Law in the Library series and through the Friends of Filipino Immigrants. He has dealt with many cases at the intersection of criminal and immigration law. In 2016, he was contacted by CBSA to consult on the Alternatives to Detention initiative and he serves on the Board of the John Howard Society. Newcomer Employment and Education Development Services Inc.
Matt Fast has been working with war-affected youth and families since 2004 and is currently the Mentorship and Outreach Program Manager at Newcomers Employment and Education Development Services Inc. Recently, Matt has written a book, Finding Their Way Again: The Experiences of Gang-Affected Refugee Youth (Fernwood Publishing), which details the experiences and challenges of refugee youth who became involved in street gangs after settling in Winnipeg. ​Winnipeg School Division provides programs for non-English speaking students to gain sufficient English language skills to enter the educational mainstream. The English as an Additional Language (EAL) program has two major goals. The first is to provide formal and informal language learning experiences which will enable students to develop language skills, and the second is to provide a positive image for the student’s first or multiple languages and cultures. Students requiring EAL programming at the elementary level are integrated into the regular English program/classroom. Students at the junior and senior high may receive specialized EAL programming for part of the day and then attend other courses in the regular English program/classroom. For more details on EAL programming, please contact your child’s school. Winnipeg School Division's Adult EAL Program provides an opportunity for immigrants to improve their English Skills in order to settle in Manitoba, go to school or get a job. ​The Adult EAL Program offers free classes for all adult immigrants, English for settlement purposes, English for employment or training, English for educational purposes, CLB 1 to CLB 2 Level classes, EAL Pre-literacy and Literacy classes part-time day, and evening classes in three different locations throughout Winnipeg. English classes are free to Manitoba residents if they are at least 18 years old and a permanent resident. 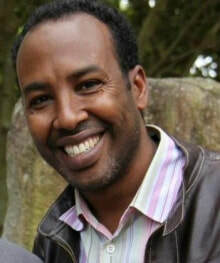 Seid Oumer Ahmed began his career as Journalist in Ethiopia and has lived experience as a refugee resettling in 2003 in Canada. Seid has held a number of positions in the settlement sector at Immigration and Refugee Community Organization of Manitoba (IRCOM), Red River College, Manitoba Nurses’ Union, and Immigrant Centre. As a result, he has developed a strong understanding of the various needs and challenges new Canadians face both personally and in workplace environments. In his current role as a Refugee Response Coordinator with MANSO, he is able to pursue his sincere desire to help. He has been playing a crucial role in helping hundreds of newcomers to bring their family members from their country of origin through refugee, spousal sponsorship and nominee program, and acting as a focal point for information and support for many internationally educated professionals to make appropriate decisions on their career and education pathways. and liaises between settlement service providers, private sponsors, government and settlement services. Michelle has over 25 years working in the non profit environment with 12 working in the settlement sector having managed a pre- employment training program for refugees. She has extensive experience working on employment solutions for refugees and promoting employment as essential to integration. Prior to becoming staff at MANSO Michelle served on the Manitoba Immigrant and Refugee Settlement Sector Association (MIRSSA) executive as board Secretary for 6 years. Her role at MANSO gives her the opportunity pursue her passion of working with community and making Manitoba a welcoming home to all. Aurora is a non-profit inner city therapy centre that has operated since 1972. We see 1000+ clients per year and are the primary practicum site for the students in the Masters of Marriage and Family Therapy Program at the University of Winnipeg. John Smyth is a Social Worker and Marriage and Family Therapist. He has been the Executive Director of the Aurora Family Therapy Centre (Aurora) for the past six plus years. Smyth is a Clinical Fellow and Approved Supervisor with the American Association of Marriage and Family Therapy (AAMFT). He has a passion and interest in working with traumatized people that spans more than three decades. This past year, Smyth was one of four Canadians accepted into the Harvard University Medical School, Global Mental Health Trauma and Recovery Certificate Program. The focus of this training was on Mass violence, Torture and Post Traumatic Stress Disorder (PTSD). This specialized training has helped create relevant programming at Aurora and his hope is to begin to increase the capacity of workers throughout the larger community to address issues of refugee trauma and mental health. Muuxi Adam is a former Somali refugee who endured civil war and its horrible aftermath. The eldest of five children, he grew up surrounded by poverty and gunfire. At 14, he was kidnapped by warlords, chained and forced to work long hours. He escaped and in 2004, arrived in Winnipeg not understanding a word of English. Adam was one of the first students to receive financial support through The University of Winnipeg’s Opportunity Fund and with hard work and tenacity, he earned a double major in international development and economics. 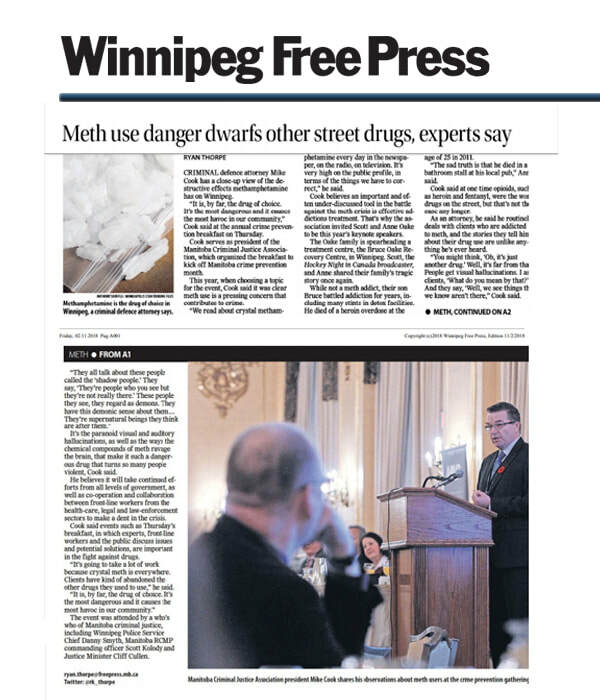 He has devoted his career to working with newcomer communities in Winnipeg’s inner city — focusing mainly on settlement issues, gang and street crime prevention and employment opportunities for newcomer youth. Adam is a community leader who is passionate about working with youth and their families and is also a filmmaker who produced two documentaries with the National Film Board of Canada, one of which explored gang prevention strategies. He gave a TEDx talk on the Impact of War on Children, to help educate others about the difficult path faced by many refugees. He helped establish the Winnipeg-based not-for-profit organization Humankind International Inc., which is dedicated to building schools for refugee children in Ethiopia and Kenya. Approximately 150 children now attend school in the world’s largest refugee camp, in Dadaab, Kenya, as a result. Adam has received numerous awards, including the 2012 Sybil Shack Human Rights Youth Award. He helped pioneer and does outreach with the Newcomer Program at the Aurora Family Therapy Centre in Winnipeg’s inner city, which offers a wide variety of programs to newcomers to connect them with the local community and help them settle successfully in Canada.